Skin surgery is an office procedure performed for both medically necessary and cosmetic indications to maintain the health, function and appearance of your skin. Skin surgery is used to remove skin cancers (such as Mohs micrographic surgery), moles, cysts, lipomas, and benign lesions such as skin tags and seborrhea keratoses. Office based skin surgery usually involves injection of local anesthesia prior to the procedure to assure patient comfort. The Mohs procedure is the most advanced and precise surgery for the removal of skin cancer. It allows our surgeons to remove cancerous tissue one layer at a time, microscopically examine it, and perform reconstructive surgery if needed, all within the same day. The precision available by this outpatient procedure not only minimizes the loss of healthy tissue, making it especially effective in cosmetically sensitive areas like the face, but also allows patients to have a short recovery period. The Mohs surgeon removes the visible tumor along with a thin layer of surrounding tissue. An experienced technician prepares the tissue and places the tissue on slides, for the surgeon to examine it. If the surgeon finds evidence of cancer, another layer of tissue is taken and examined. These steps are repeated until all tissue samples are cancer free. Mohs surgery allows patients to have a short recovery period. Surgeries and closures can be done in one visit on the same day, allowing for immediate reconstruction of the wound. Mohs micrographic surgery is also ideal for the removal of recurrent skin cancers (tumors that reappear after treatment) and can plague a patient repeatedly. 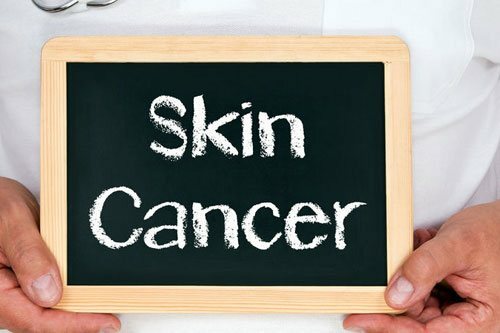 While skin cancers are easily visible to the patient, individual cancer cells are microscopic and any cells left behind can cause the tumor to reappear. The tumor may spread beyond its obvious external margins, with nests of cells growing in unpredictable areas. With the Mohs technique, all tumor nests can be identified and removed with a high degree of accuracy, so that extremely high cure rates, as high as 95 percent, are possible even when the cancer is recurrent. Mohs micrographic surgery is named in honor of the physician who developed the basic technique, Dr. Frederic Mohs. You may hear it called Mohs surgery, chemosurgery, microscopically controlled surgery or histographic surgery—it’s all the same. In the years since Dr. Mohs pioneered the procedure, many technical improvements and refinements have contributed to make micrographic surgery a safe and highly effective means of treating skin malignancies. The main difference between micrographic surgery and other methods of removing skin lesions is microscopic control. In Mohs surgery multiple thin, horizontal layers of the cancer are removed. The surgical removal proceeds along a grid pattern, with each layer carefully identified and mapped by the surgeon so that its exact location can be pinpointed on the wound. Every layer of tissue removed is inspected under the microscope for evidence of cancer cells. As long as cancer cells are seen anywhere within the specimen, the surgeon continues to remove and examine tissue layers from that section of the wound until none are present. Because each layer is examined microscopically, dermatologists can be reasonably certain that all the cancer has been eradicated and that no tumor nests are left behind. In addition, only the cancerous tissue is removed, saving as much normal skin as possible. What to Expect Before and After Mohs Surgery? Because of the layer-by-layer removal, laboratory preparation and examination under the microscope are delicate and require great precision. They are also time consuming. If more than one session is needed to remove all signs of tumor, a dressing is applied. Once the area is declared cancer-free, your surgeon will discuss the options of wound healing or reconstructive surgery. Periodic visits to your dermatologist are recommended to check on your progress and spot any possible cancer recurrence as soon as possible. One in five patients with one skin cancer will develop another within five years, so follow-up is extremely important for early detection of any new lesions.